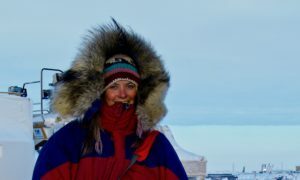 Akakū Maui Community Media presents a Filmmakers Salon with award-winning ethnographic filmmaker and owner of Farthest North Films, Sarah Betcher. Sarah will share excerpts from some of her work with indigenous Alaskan tribes and take part in a Q&A about her culturally sensitive film-making methodology, as well as, discuss the parallel issues facing native Hawaiians today. The event will be hosted as part of the Akakū Upstairs Salon Series, in Suite 204, on Thursday March 2nd from 6-8pm.